"If You Want To Skyrocket Your Success With Weight Loss, Fitness And Improve Your Overall Life Just In Time For The Summer... Then You Need To Grab This Incredible Collection Of 14 Spectacular Weight Loss Products And 11 Fast Action Bonuses... In One Of The Hottest Niches On The Internet!" 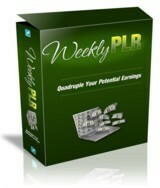 Are you interested in profiting from one of the hottest and most profitable niches on the internet? Do you plan to go on a diet before your Spring or Summer Vacation holiday? Or have you tried to go on a diet to lose weight, only to find that you didn't manage to lose any weight...only to find youself no better off than before? If you answered YES to either question then help is here! 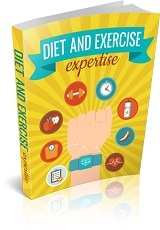 How would you like to get your hands on some of the latest Weight Loss and Health Resources and Guides on the market? PLUS...The Weight Loss Niche Pack 7.0 includes 11 Fast Action Bonuses that are a perfect compliment to the weight loss resources above. That's a Total Of 25 Weight Loss and Health/Fitness Products Total! 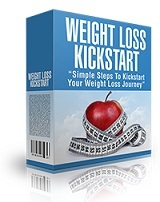 It's all here in my Weight Loss Niche Pack 7.0. Now that's what I call an EXTREME BARGAIN! Example Article: Cravings Buster & Why Diets Don't Work. If you do some research you'll soon discover that other weight loss resources will cost you $17 to $67 or more for a single product. My Weight Loss Niche Pack 7.0 won't cost you anywhere near that! That's right! You can get my Weight Loss Niche Pack 7.0 starting at just $1.97 and you can resell the products for 100% profits if you want to! That's a fraction of the cost of anything similar. Order Your Copy Now For ONLY $1.97! Yes Russell Carter! I want instant access to the Weight Loss Niche Pack 7.0 right now! I am acting right away so please also give me all the BONUSES detailed above. I understand that I will get instant access to the product (even if it's 2am) You'll Get Instant Access 24/7! If you have any questions about "Weight Loss Niche Pack 7.0", call us from 10:00 AM to 5:00 PM Eastern Standard Time, Monday through Friday, at: 301-535-1632... or send us an email.